Kevin Brown has insisted he will not be affected by pressure when he makes his long-awaited debut for Widnes Vikings against Hull FC on Saturday evening. "I'm just going to play my normal game and not try to overplay. When you're under a bit of pressure to play well, you try to force things. "I'll just be looking to do my best. That's what I've done all my career," Brown told BBC Radio Merseyside. "It's not about scoring and setting tries up - it's about doing my job." In the absence of half-back Brown, Widnes have made a solid start to the season. 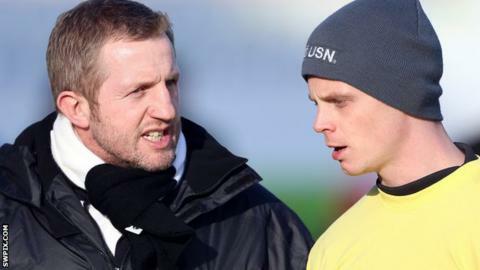 Denis Betts's side, who finished bottom of Super League in 2012, began with victory at London Broncos and were then narrowly beaten by local rivals St Helens, although their cause was not helped by being reduced to 11 men during the closing stages of that match. Although their last outing ended in a heavy defeat at Hull KR, Brown has been happy with the general level of performance. He added: "We were disappointed with the first half at Hull KR, but if you take that out, we've been really good and really consistent. "We're a developing side and days like that will happen. It's important we learn from that. I just want to fit in with them now and work well together."